Spacious luxuriously furnished bungalow, all comfort, beautiful sea view! Situated in an enclosed, secure complex located 4 km from the center. Parking for one car on the property. This completely renovated house has two floors. Upstairs find a stylishly furnished living room with fully equipped kitchen. 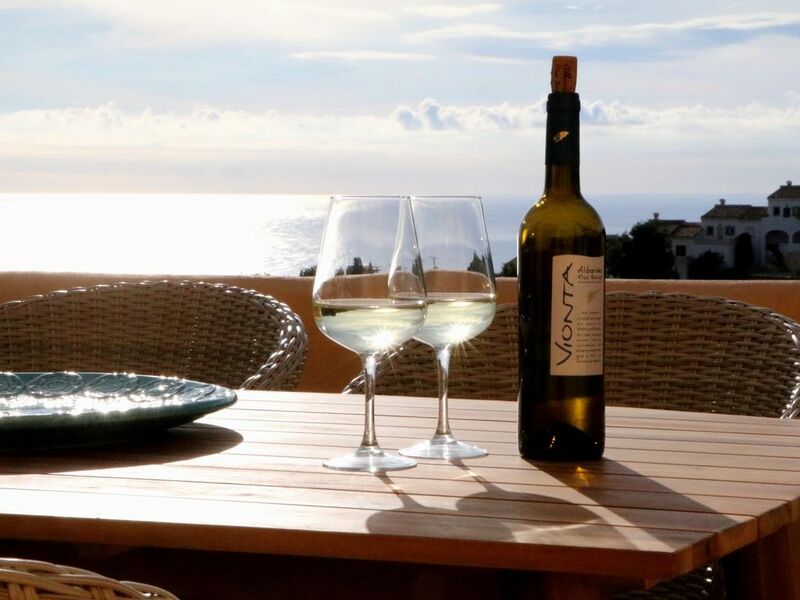 There is a veranda that opens onto a terrace from where you enjoy a beautiful sea view. The bedroom with bathroom also opens onto the terrace. The ground floor offers you 3 bedrooms and a spacious TV room. From the terrace you can enjoy the vast sea view again. The bungalow has just been completely renovated and furnished. All possible comfort is available; oven, microwave oven, freezer, TV, toaster, blender, juicer, coffee maker ... and so much more. The house is also equipped with air conditioning hot / cold. The shared swimming pool also gives out on the beautiful landscape.